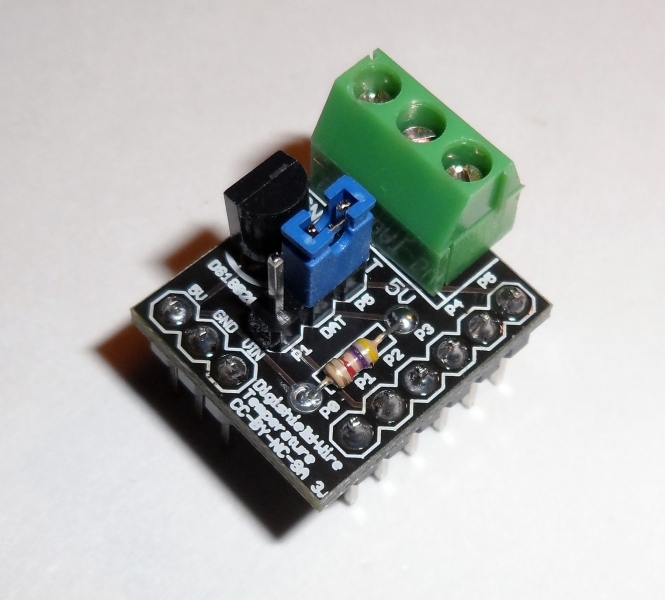 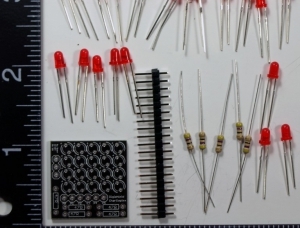 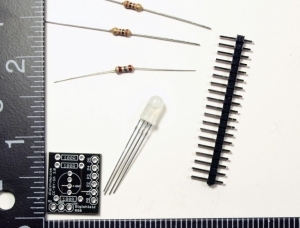 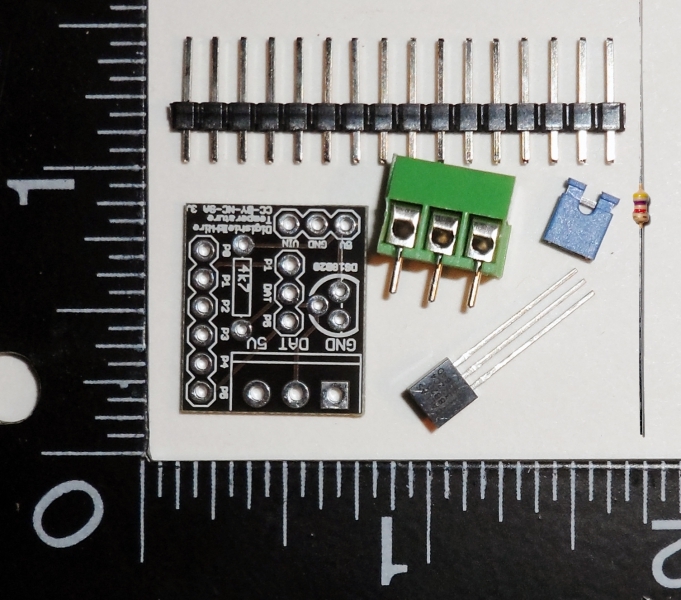 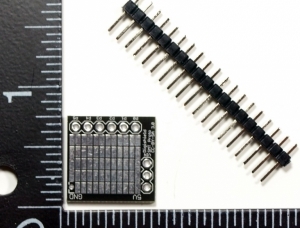 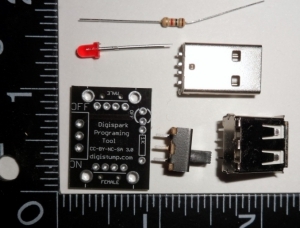 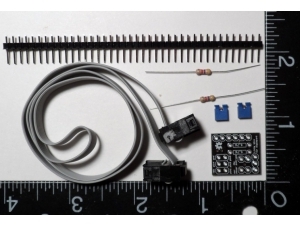 The Temperature Sensor Shield Kit connects a DS18B20 1-wire temperature sensor to the Digispark. 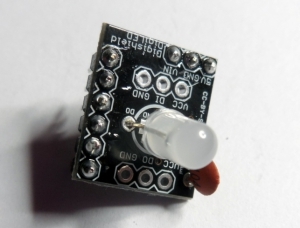 This allows the Digispark to read the temperature measured by the included sensor on the shield. 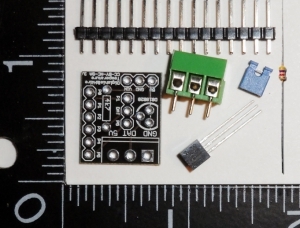 The shield also provides a screw terminal connection to attach additional external 1-wire temperature sensors (not included), or any other 1-wire sensor. 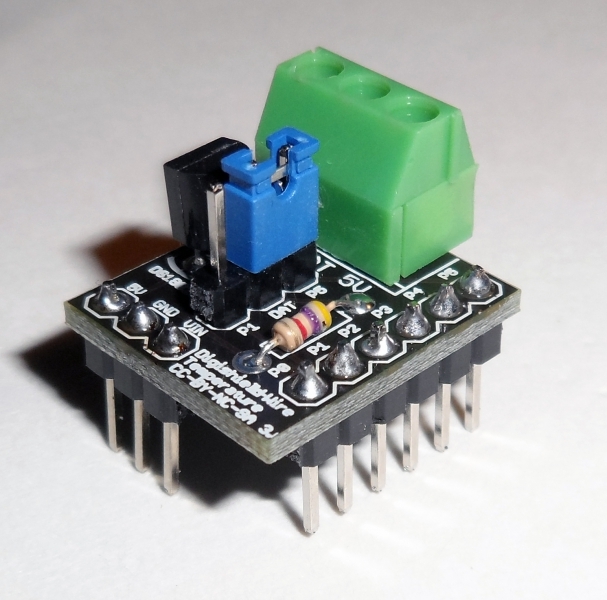 The jumper on the shield allows for one of two i/o pins to be used.